It’s Feel Good Friday: Today we focus on the First Lady of Sierra Leone Here’s a short biography about her and her social impact works. 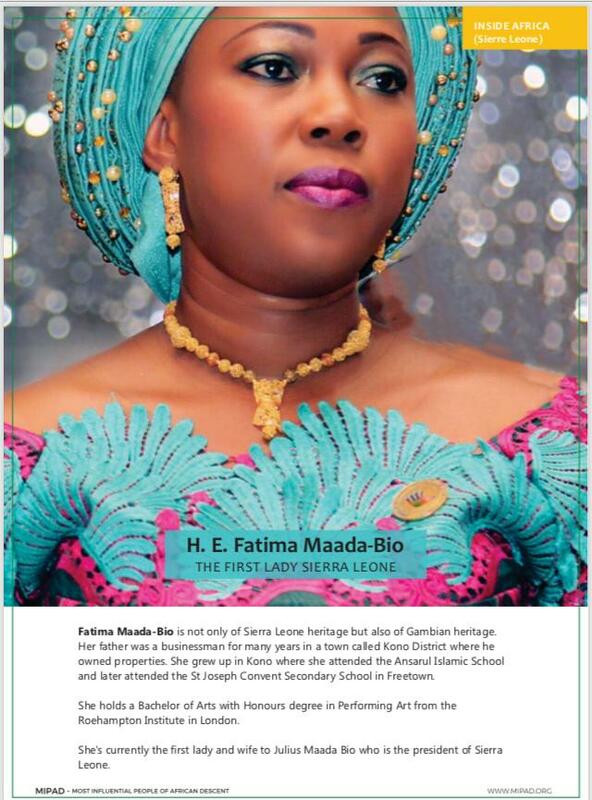 Fatima Maada-Bio is not only of Sierra Leone heritage but also of Gambian heritage. Her father was a businessman for many years in a town called Kono District where he owned properties. She grew up in Kono where she attended the Ansarul Islamic School and later attended the St Joseph Convent Secondary School in Freetown. She holds a Bachelor of Arts with Honours degree in Performing Art from the Roehampton Institute in London. She’s currently the first lady and wife to Julius Maada Bio who is the president of Sierra Leone. As a caregiver, she scores 100 percent in that department because she acts as the backbone to her husband’s agenda of making Sierra Leone a self-sufficient nation. In her efforts to make that happen the talk and do first lady as she fondly called she showcased her commitment towards the attainment of food sufficiency in Sierra Leone by establishing a 200-acre farm in Masiaka, Northern Province. In her own words “My aim is not to score political points, but to let women know that they must not only be servants in the kitchen but also major players in the boosting of our economy by embarking on agriculture. Agriculture is life; therefore we must make every reasonable effort to save life by engaging in food production. We have rich soil, enough sunshine and rain to achieve food sufficiency, so we must take advantage of the blessings God gave us. We must defeat the purpose of rice and other food-related importation by growing our crops and feeding ourselves,” she said. Like any mother, she is passionate about children most especially girls who are vulnerable. This passion has birthed the initiative “HANDS OFF OUR GIRLS” aimed at addressing issues affecting girls namely: Teenage Pregnancy, Child Trafficking, and Prostitution, Child Marriage and Sexual Based Violence. This campaign runs through from 2019-2022 but will be officially launched in December 2019. 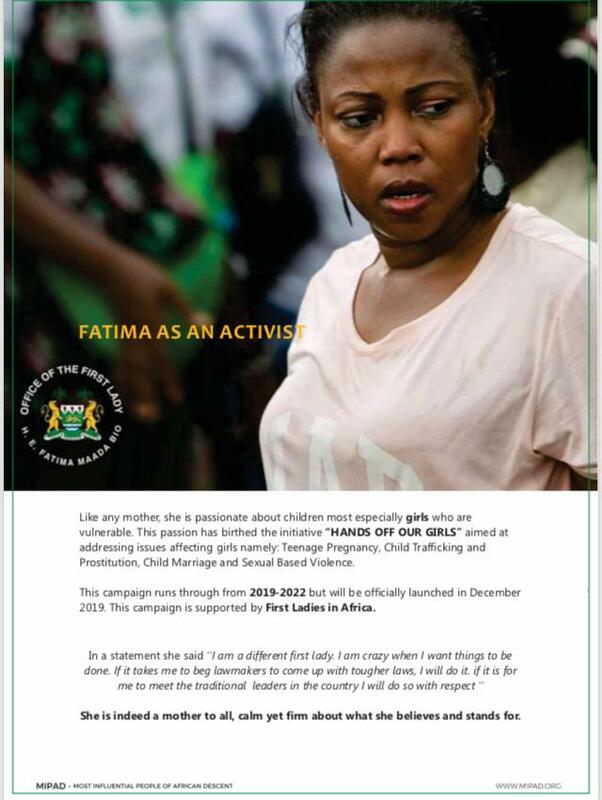 This campaign is supported by First Ladies in Africa. She is indeed a mother to all, calm yet firm about what she believes and stands for.